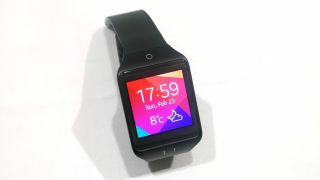 The software development kit for Samsung's Tizen-based Gear 2 and Gear 2 Neo wearables is now available to third-party developers, the company has announced. Samsung prefaced this move with an announcement toward the end of February that it would open up Gear development to third parties with the release of the new Gear models. Eager app developers can download the Gear SDK from the Tizen developer site. The Gear 2 was designed to improve on many of the original Galaxy Gear's flaws, and opening up its app ecosystem is one of the ways Samsung hopes to do that. Dozens of Gear 2 and Gear 2 Neo apps have already been developed thanks to Samsung's numerous partnerships, the company said. With the new apps the Gear 2 and Gear 2 Neo "provide users with enhanced wearable experiences for fitness, shopping, social media, music, news and sleep management," Samsung says. They come from companies including Feedly, CNN, eBay, Expedia and many others. On top of that, "a variety of applications for Samsung Gear 2 and Gear 2 Neo are expected to be developed by active Tizen app developer community," the company said. Earlier this month, Google announced its plans to release an SDK for wearables based on Android. The SDK should be out later this month, but until then, Samsung can brag about its timely Tizen release.